You were sure that finding that desired position or making a career change wouldn’t be that difficult. You had a solid plan and many different leads and ideas. So what happens when all those have run their course and you haven’t found or been offered what you were searching for. Is it time to call in reinforcements? Let’s take a look at the pros and cons of working with a corporate or executive recruiter. Often positions that pay more and have sought-after benefits are not simply posted on the internet. Companies that are hiring for these types of positions don’t want a deluge of resumes. Often, if you have a reputable recruiter, they are in the know, as they can be part of the company’s inner circle. There is something to be said about being introduced by a recruiter. Being presented makes you stand out from the crowd. This encourages the employers looking to hire, to take notice. It also puts a comfortable buffer between you and the employer. 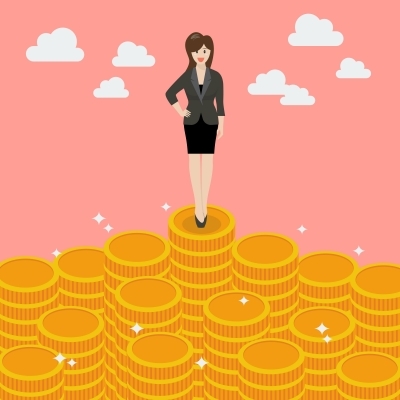 They keep an open line of communication about the position and can even help with negotiations on your behalf concerning salary, benefits and so on. It is also part of the job of the recruiter to match you to the position. 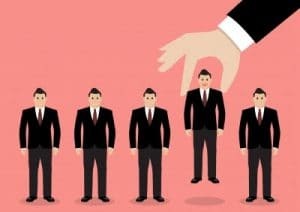 Recruiters have a reputation to protect and will want to be sure that they are making contacts in positions that could be a win for both you and the employer. This saves you time, frustration, and extra leg work. When a recruiter works with you, that relationship relies on confidentiality and discretion. This enables you to maximize your job search and protect your current position while you still are working at your current position. The recruiter’s commission depends on the success of the candidates they are proposing to their corporate clients. They want to know all the details of your skills and experience in addition to having a complete understanding of what you are searching for, so they can present only their best talent to client companies. They also should be able guide you through the entire process from first contact to final interview. Although recruiters are paid by their company clients, when you are successful so are they. So consider them to be your advocate and let them help you land the position you are searching for. Problem #1: Your resume is too lengthy, but you’re unsure of what to delete. Deciding what makes the final cut on your resume can be a real challenge. Experts advise not to go further back than 10-15 years in your work history. Another way to determine this would be to not include more than your previous 5 jobs, whichever option is shorter. Descriptions of duties at each position can also take up a lot of room and is generally unnecessary. Using short sentences or bullet points can be great ways to simplify details. While there doesn’t seem to be a perfect length for a resume, one page seems to be the current trend with two-pages being acceptable if needed. Beware of using what is termed as “filler.” This is an old trend that has gone by the wayside. At one time there seemed to be a misconception that having important words or different types of positions listed on your resume would increase your chances of landing an interview. This will not prove true if this extra information causes your resume to be so wordy and long that it is tossed in the trash bin. “More” is not “better” in when dealing with your resume. You do not want to appear to be someone who “dabbles” in everything; you want to show expertise or experience in a couple of areas instead. Problem #2: You lack education and experience. This can be a common problem as we search for positions that challenge us to better ourselves. When you find that job that mentions experience or education that you lack, you should still give it a shot. What do you have to lose by applying? Job listings tend to contain a wish list of sorts for the perfect candidate. Odds are, there isn’t going to be anyone that meets each requirement. Be honest in listing the education and experience that you do possess, don’t ever be dishonest. Even if your degree is in a completely different field, it still demonstrates your knowledge base and shows that you are a graduate. 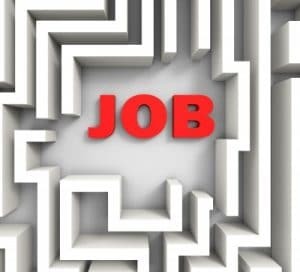 Fill in the blanks by expressing the interest and enthusiasm you have for the position along with a healthy desire to learn on the job. You may be surprised with the results. 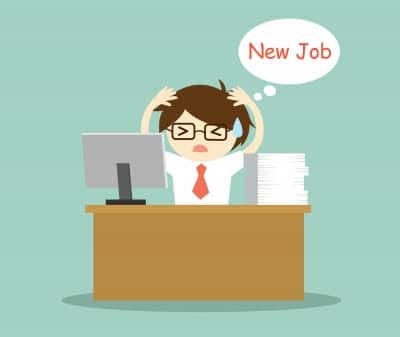 Problem #3: Not only did you not stay long at your last job, you have a history of frequently changing jobs. If you find yourself in a situation where you are wondering if a job should be listed, here is a common guideline. If you were at a job for less than two months, leave it off your resume. If the time spent in that position was over two months than in most cases you will want to include it on your resume. Such a short time frame spent in any position is bound to raise questions from a perspective employer, so be prepared to answer truthfully. It may be that the position wasn’t what you had hoped for or maybe there were economic problems that surfaced, whatever the case, be ready to discuss it. A similar issue that you may face comes from hopping from job to job. While this may feel like a mark against you, that is not always the case in the eye of the hiring manager. Perhaps you advanced in status due to some of your job changes? Having the initiative to continue to search until you find what you are looking for and where you will happily stay may show the company in which you are applying for that you are in a real search for a long term career. As mentioned above, be prepared to discuss these job changes and the goal of each. Remember, no trash talking, that never leaves a positive impression. Avoid it at all costs. Problem #4: You have sizeable gaps in your work history. If you have time off between jobs that are long enough to draw questions it is a good idea to address these in your cover letter. Take comfort in the fact that with the economic slowdowns that have hit over the past decade gaps in employment history are much more common than they once were. State in your cover letter whether the time off was due to staying home to raise children or a tough job market, but do address it. If the length of your job search has reached a point that you must get something on your resume, then take up some volunteer or freelancing work and include that. As with anything on your resume, be prepared to have an open and honest discussion about it. Problem #5: You are using outdated resume terms. You want your resume to get noticed, but not for the wrong reasons. Below is a list of some of the terms you should now avoid even though they were popular in the past. References available by request (Of course they are, but either include them, or don’t mention them). Detail-oriented (aren’t we all? At least to some extent). Hardworking (actions speak louder than words; no one really believes this statement until they see it for themselves). Objective (very outdated, replaced with a job or career summary). Responsible for…. (Using this format will cause your resume to become to wordy). Problem solver (is this really unique to you? I don’t think so…). Team player (again, action and time will tell). Problem #6: You include too much personal information and decoration. Even though talking about hobbies, religion and marital status discloses a lot about yourself, you don’t want to include these details on your resume. You also don’t want to be the one resume that uses a bright pink cursive font. While you will get noticed, it will not bring the results that you are hoping for. A professional resume is crucial in today’s competitive job market. The details can make or break you. Be sure that your resume shows a clear direction along with career goals that you are hoping to achieve without including information that would be deemed too personal. Remember, every mistake you may have on your resume is completely fixable, don’t lost heart. Don’t make more of it than it is by taking yourself too seriously. Your resume isn’t a legally binding document. Your past employer isn’t going to proof read it for you. Your resume is a summary of your work history, education and experience, that’s all. It’s your journey, your path and experiences and your future. Take the time to prepare a resume that makes you feel confident or hire a professional resume writer to do so, but take pride in yourself and your accomplishments, whatever they may be. 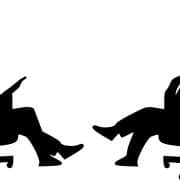 Think About it: What if Interviews are Like Dating and the Job Offer is like Marriage. . What’s the Difference between the Two? Think About it: What if Interviews are Like Dating and the Job Offer is like Marriage. .
You are in your best clothes. You took extra time getting ready for this outing, paid attention to every detail. This is not an average day. You are sitting across from someone that you have either never met or know very little about. But you do know one thing; they hold your very future in their hands. You are sizing each other up, on every imaginable level. You are both on your best behavior, determined to make an impression. So, is this a date or a job interview? Do you see the similarities? Interesting perspective, let’s compare further. 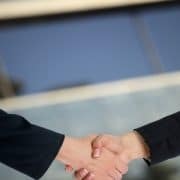 As you have heard over and over, the value of a great first impression cannot be stressed enough. It matters! Going back to our idea about interviews being a lot like dating, we can see the similarities. We take extra time to get ready and select our clothing, we look our best, we come prepared with our A game. We should be using this strategy with interviews as well. Just as we wouldn’t head into a date with absolutely no information about that person, we shouldn’t head into an interview without doing a decent amount of homework. We need to know about the position, the company and even the interviewer if possible. While there may be “blind” dates, there shouldn’t ever be a “blind” interview. Both are highly likely to fail. One of the best outcomes of a first date is being able to say that there was great conversation! You want this to be part of your interview as well. You want to be able to be yourself and communicate your thoughts just as you would hope to be able to do on a date. Just remember that the motivations of many interview questions aren’t as innocent as on a date. The interviewer is constantly playing a game of hide-and-seek. There is an additional question that hides behind nearly each initial question asked. You need to stay aware of what they are really trying to determine and then keep your cool. Not to say that questions on a date aren’t the same, but hopefully you are able to loosen up and relax a little bit more in that setting. Whether it is the end of a date or an interview, the way you say goodbye is very important. I will leave you to decide how to end a date properly and will discuss how to end an interview on the best terms possible, although, you may find they truly are similar. You want to leave with a positive impression. You want to interviewer to have felt your good energy and enthusiasm for the position as well as good information on your work history and skills. You want them to be thinking about you after the interview is over. They should be thinking about what you could bring to the table and that you could be what they have been looking for all along (still sounds a little like a date, right?). While this may seem like a bit of a stretch, it actually makes a lot of sense when you think about it. To hire you, means to bring you into the interviewer’s life and their business. This involves a lot of trust in you. They need to feel certain that what they have felt about and learned about you is the truth and will serve them well in the future. They are looking for commitment. No one wants somebody to come in full of hopes and dreams only to get bored or be under-qualified and have to leave without seeing things through. As a marriage takes two, so does a work relationship. You must be ready to jump in with both feet and say I do! 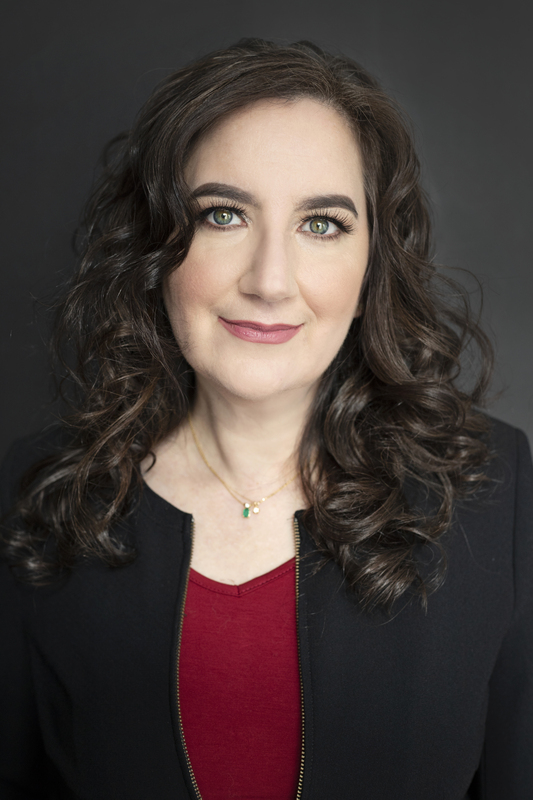 https://www.fivestrengths.com/wordpress/wp-content/uploads/2017/06/Interview.jpg 266 400 Amy L. Adler https://www.fivestrengths.com/wordpress/wp-content/uploads/2016/04/Five-Strengths-Logo.png Amy L. Adler2017-06-22 06:48:122017-12-24 11:05:27Think About it: What if Interviews are Like Dating and the Job Offer is like Marriage. . What’s the Difference between the Two? Weeks have passed since you sailed through both a phone screening and a first interview, and yet, you haven’t heard another word. Obviously someone else has taken the position that you were hoping to score. So the question remains, why? What did they have that you didn’t? What made someone else stand out above you and the rest of the applicants? Was it their skills, personality, interview or even their resume? You can’t risk being deficient in any of the categories mentioned above. The problem lies in the fact that we don’t often hear back about why we were not chosen for a position. How do we improve with no information on what’s going wrong? We need to break the cycle we so easily find ourselves in and think like a competitor. Make no mistake, this is a competition. In case you haven’t heard, placing an “Objective” at the top of your resume has become a thing of the past. The current trends are leaning toward a Summary. This is a friendly, more personable way to introduce yourself to prospective employers. This is a chance to let some of your personality show through in what can otherwise be a somewhat dry and detail-oriented fact sheet and job history. Think of the summary as a modern day, virtual handshake. Be professional but let your personality shine through. Do not include details such as hobbies and marital status; however, they don’t want to hear about those things at this point, stay professional but engaging. This will kick-off a current, interesting and competitive resume. We often hold ourselves back from truly expressing our feelings about how important something is to us. This isn’t a mistake that you will have a chance to rectify when made on a resume or at an initial job interview. Let your passion about an opportunity or your past experiences come through. A hiring agent needs to be able to accurately gauge your level of interest whether on paper or in person. You must be sure that you are honestly expressing your enthusiasm. Hiring someone that they know is truly excited about a position will win over someone that just seems to be “a good fit,” every time. Provide solid explanations about why this company or position intrigues you. How does it fit into the puzzle of your future aspirations? What are you excited to show them? When listing previous employment, do not provide endless explanations or lists of duties preformed or extreme details of what was required of you. While you want to be thorough, you don’t need to list every position that you have ever had. 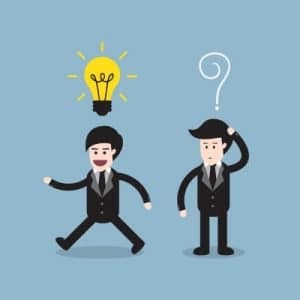 Instead think about unique methods and ideas that you contributed that had proven measureable results. Such as: increases in sales, customer numbers, social media presence, etc. Stay focused on relevance as well as stability. You want to highlight the results you can bring to the table. A bulleted, verb packed format can be a great way to present this information as it is a quick scan for your interviewer and an easy discussion starter. As you prepare your resume, remember that you are competing not only against other resumes, but against machines and talent-management software. This software will generally dispose of up to 50% of resumes and cover letters before they even grace the presence of a human being. Using the correct keywords becomes more important every day. You can create your own list of important keywords by previewing many different job listings in the field in which you are seeking employment. Search for similarities in skill sets, tasks, duties, and so on. Be sure to insert these important key-words naturally throughout your resume, be thorough but of course, don’t overdo it. There are many ways to make your resume stand out above the rest. Your resume is the single most important part of your job search. Read it aloud to ensure that it is competitive, concise, and attention getting. Also, don’t forget your cover letter. 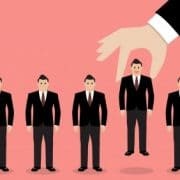 If after revamping and applying all the techniques above you are still not getting the recognition that you feel you deserve, it may be time to call in a professional Resume Writer. Turning the process over to an outside source with well-trained methods can be just the boost you need to make it to the top of the list. Compiling a unique, powerful and attention getting resume has always been difficult. However, in today’s tech-driven world, it is getting even more challenging. There are elements that are game changers, such as electronic resume scanners. It is more critical than ever to be at the top of your job-seeking game. This means, first and foremost, having an optimized resume that will get you that interview. Rather than listing an objective, write a summary statement. You do not want to start off your resume by making demands as having an objective seems to do. You would do better to set a different tone from the beginning. A short synopsis that illustrates your work history, achievements and experience is a welcome addition to any resume. These statements may even be done in a bulleted format for quick skimming by a prospective employer. The objective section is now out, and the summary statement is the current trend. We often seem to get into a rut with the style, color and design of our resumes. We may go in and update information, but we rarely change formatting, color or detail. To stay current with today’s job market, it is crucial to get ourselves out of this box and make our resume’s stand out. We are able to use graphs, charts, boxes, images and so on to enhance our resume. In adding these details, however, you want to be sure to stay true to your industry and not go too far over the top. You don’t want to use more than two different font types or sizes. It can just be too much. Think about the field you are applying in and make sure your resume is a good fit. However, this is a great chance for a creative and attention getting self-promotion of your skills. A resume is not your life story. It must be kept short and concise. You are in fact trying to “sell yourself,” not give a narrative of your history. The goals you have for your future career should be what guides the information that makes the cut and appears on your resume. The past experience that highlights these goals should be maximized and highlighted. You want to be in control of which aspects of your experience are focused on. Emphasize the past employment that relates to the position you are applying for the most. This will keep the direction of your resume where you want it to be. Clarity is the goal. Once you feel that your resume is close to ready to send out, put yourself in the recruiter’s seat. Set your resume on your desk and look at it from afar. Does it look like more than you want to read? Than it probably is and you need to cut out some of the unnecessary words and fluff. Also, be sure to leave some white spaces between paragraphs for ease of readability. Can you easily pick up on details and critical keywords that fit the position you are applying for? If not, make them more obvious, emphasize them. Are you able to quickly scan through within about six seconds and get a good idea of the qualifications contained in your resume? Is there enough information at a glance to make you worthy of an interview? Does your contact information stand out clearly? If you have listed more than one phone number or email address, simplify. Give them one or two most direct routes to contact you and then be available if they do call. Spend some time on each of these questions to ensure your resume is ready to be distributed. Have you ever felt unsure about the format you should send a resume in? Don’t be, the answer is PDF. By the time you are submitting a resume for consideration, you have spent countless hours making sure that every line is formatted correctly, every bullet point lined up. Don’t lose your hard work by submitting a resume in a Word document and having it arrive with these fine details lost. Sending a PDF insures that your resume will arrive exactly as you sent it. Using the ideas and tools in this article should help you re-think your familiar approach to your resume. Step out of your comfort zone and dare to be more creative. The goal is to have your resume be informative yet pleasing to the eye by those who evaluate it. Take your time and do it right, you won’t regret it. First jobs rarely turn out to be a dream job. Often it is an obvious mismatch. The speed in which people change jobs or careers seems to depend on abilities and degree of education. Often, people with more training and education settle on a career more quickly. There have been times in America when people would hold onto their jobs at all costs, no matter how bad it was, such as during times of recession. We live in a different era now. Hanging onto the same job for too long may end up costing you more than you realize. Do I have a future here? If you can’t see yourself in your current position in a year or two from now, or if the path you’re on doesn’t lead to where you are planning to be in the future, it’s time evaluate whether you are in the right place. Does the job go hand in hand with your long-term career goals? If not, you must alter your path to align with your career aspirations; it may be time to make a big change. Studies have shown that workers who don’t fit in well at their jobs often end up being less productive. Being less productive translates into lower wages over the course of time. This seems to be the case whether we are talking about being underqualified or overqualified. If you spend too much time in the wrong position you will also be worse off after you switch due to the fact that you haven’t been learning and growing in the skills needed to succeed on your prospective career path. Putting off finding a job that is a better match for your skills and qualifications is essential to your long-term earning potential. Well worth the stress and effort of a prolonged job search. The sweet spot for a job change seems to be after about three to five years on average. Often employees who voluntarily make a job switch see a 5-8% raise with a new employer. After several additional years the percentage of increase drops somewhat. This indicates that those employees who remain in a mismatched occupation over a fifteen year period could end up with a salary that is in the neighborhood of 30 percent less than someone with comparable skills but in a well match occupation. When you are well aware of your value and how much you are worth and more importantly, your employer knows that you are willing to leave if you don’t get it, you become much stronger in your negotiation tactics, whether you ultimately decide to stay or move on. We hear a lot of negative press about current employment and unemployment statistics. The truth is many people assume that in these times people change jobs often and that the market is insecure. While we all know that the days of working in the same position or even field over the course of your lifetime are nearly gone, it is a misconception that people change jobs and careers more than ever. This is where the advantage of making a change comes in. If you do your research and make decisions and plans over time, not being impulsive, you stand a great chance of making a switch that will better your financial situation. In doing so, you may also find yourself properly challenged, intrigued and valued. It’s important to note that loyalty to your company isn’t the most profitable position any longer. Being willing to demand what you are worth and being willing to leave for other employment over it, makes you much more likely to ensure that you make a salary that you deserve. Hiring a professional to assist with your resume needs can be easier than writing a resume yourself, but you need to be informed. You shouldn’t hesitate to ask your executive resume writer questions about their prices, reviews, and all details of services. It is comparable to hiring someone to remodel your bathroom – you would ask numerous questions to ensure you will be satisfied with the service and result, such as price, method, and name(s) of the contractor(s) actually performing the labor. In this article, you’ll find nine of the most important questions you should take note of when searching for an executive resume writing service. Certification is an important piece in finding an executive resume writer. If you are going to pay for the service, you certainly want to hire someone who knows what they are doing. Committed resume professionals will be certified through a respected organization. The process to become certified is not always the same through each industry, however you can confirm the credentials with the agency after speaking with the writer. What services do you offer, including prices? Do your services include job search strategy or interview preparation? Resume writing companies have varying services. A serious firm will offer things outside of the resume and cover letter such as job search strategy, interview preparation, and career coaching. The price of each service should be readily available on the company website, but you should still be asking questions as to how much time will be invested for each service you wish to use. With the price and average amount of time known, you can easily calculate the hourly rate for each service and determine whether it reflects the rate of an accomplished, serious, and reputable company or an incompetent, low quality, run-of-the-mill operation. Reputable companies will charge more for their services, but remember that the price should be, on average, three times what an employee of the business should receive as income. Experience will vary from person to person. You need to decide what you want from your resume professional: a superb resume for a specific career field, a general resume you can send to anyone, or a resume for switching careers. Ask questions about their expertise. A devoted executive resume writer will assist you in finding the right professional for your project. What is your writing experience? Several resume professionals are also accomplished writers. Most will have that information in a profile for their company’s website, but don’t feel embarrassed to ask about the specifics of their other written work. Media like books, articles, and even professional blog posts, paid work or writing experiences, and bachelor or master degrees in English fields are all key examples of written accomplishments. How long do you spend on a resume for someone in my career field? If not clearly stated on the company website, make sure you inquire about a time frame. Most professional resume businesses expect payment up front so, it is a good idea to have some kind of due date in mind. Dependent on the experience of the professional, and on your own candidate level (entry-level, experienced, or executive), the resume writing process can take anywhere from six to twelve hours. Who will handle my resume? How is that determined? Not every firm will be what you expect. Some have been outsourced to other countries where someone at the U.S. location will interview you, gather all the information they need to complete your resume, and send it to another person, possibly another country, to have the resume written and formatted. It is important to talk about who will actually be carrying out your project from start to finish. What are their credentials, experience, and fields of expertise? Will all of the content be original? Cost of service should be an indication of quality. Low-cost firms typically rely on software and pre-written templates to construct resumes. These templates have keywords and phrases that are common with specific professions. For example: for engineering, they can paste your information into an existing template to create your resume. Good for them, and bad for you. This will make your resume blend in with dozens of other candidates. So, when inquiring about originality, know what you should be looking for. Do you specialize in my career field? Is it necessary for my executive resume writer to be intimately familiar with my field? Using a resume writer who specializes in your field nice, but not necessary. They will have a more in-depth understanding of which questions to ask you, what information to gather, and the specific language used in that industry. While it is nice to have, another expert writer is able to craft a great resume for professions they do not have much experience in. What do other customers have to say about your services? Where can I view reviews? When looking for reviews, be careful. Testimonials on public forums or company websites can be fabricated to increase sales. Reviews that are on social media, like LinkedIn profiles, can be more reliable because you can look at the profile of the person to verify their identity. LinkedIn can be useful in viewing the profile of the individual writer you have chosen to work with. What accomplishments have they included? What industry do they seem to work in most? Don’t be afraid to do research about the people working at the resume company as well as people who spent the time to review the service. Your resume, especially if you are going to pay to have it written, should be the ultimate tool for your job search. Any reputable resume writer will recommend what is best for the client. Asking questions is the best way to ensure you will be getting the greatest quality of service and resulting products. We all know the textbook answers for how to interview successfully: be prepared, know about the company, practice what you will say to those questions that are always asked, dress for the job, and so on and so forth. Let’s take a minute and think outside the box. Let’s think about tactics that are a little different, that may give you an edge and leave a great impression. Let’s be ready for an amazing interview! Obviously, getting a referral or a recommendation is the best ticket into any company that is hiring, hands down. However, most of us are not fortunate enough to be able to provide this. All is not lost! Remember that recruiters are scouring job sites looking endlessly for the perfect fill for an available position. With this information in mind, remember to market yourself as a high performer when managing your social media listings, such as LinkedIn. Create attention getting profiles that show actual examples of your work anywhere possible. Also, if you would like to receive endorsements, make sure to give them as well. Professional people often return the favor. Applying on Monday is the way to go. There are several studies out now that say as much. Send in your resume on a Monday and you are more likely to be called in for a job interview than on any other day. Word on the street is that scheduling your interview for a Tuesday, and even more specifically, around 10:30 a.m., will be well worth the strategic planning. This is due to the fact that we all deal with so many different responsibilities. The state the interviewer is in should be very important to you. You don’t want to slide into a Monday or Friday spot as people tend to be either recovering from the weekend or gearing up for it. Close to lunch time is also a no go. Your interviewer could be distracted, hungry, or carb-loaded and ready for a nap. They may even resent that they needed to hurry back to meet you. Play it safe and avoid mid-day, where ever possible. *Note: be mindful of how quickly they are planning to hire. You may have to jump into the first available spot if they are in a hurry! Use all Available Tools, have you tried Google Alerts? If you want to stay on top of the current news, information and even employment ads posted, a great tool in your arsenal is Google Alerts. If you set up an alert, you will receive an email anytime a new story, ad, etc. appears for a specific search term that you set up. This enables you to know about current events as they happen, without even searching for them. This may seem like a no-brainer, but I assure you it is easier to forget than you think. Being able to address an interviewer by name especially with a warm smile, nice handshake and comfortable eye contact can leave a positive impression that shouldn’t be underestimated. Try and use their name a time or two during the interview this will show how truly interested you are. It also is a great way to highlight how comfortable you are meeting and working with new people. You want to enter an interviewing situation armed with your story. We are not just talking about the story that tells where you were born, grew up, went to school, and so on. Not just an answer to the forever asked question, “Tell me about yourself.” Create a story that tells more about how you evolved into the person that you are, both in your professional and personal life. It can be helpful to a prospective employer to know what drives you. How did you develop such tenacity? Right? We often don’t tell our own story well, or even in an interesting way. You want to talk about hopes, achievements, even areas you feel you have failed, things that are yours, only unique to you. This can honestly take some time and practice, but it will be well worth it. Bounce it off a critic several times, one who has your best interest at heart of course! Taking the time to do this will build your confidence and humanize you to the interviewer. Let them feel like they know you, it will be sure to have an impact in their decision making. If you have ever interviewed for a position that you didn’t receive, and who hasn’t? You know that it is not always the person that is the most qualified that gets the job. There are many other skills we possess that can outweigh even the smartest competition. One of the great and underrated tools for interviewing is called Emotional Intelligence. This is the ability to tune into another person’s emotional state and not only empathize but manage your own emotions to identify with theirs and then communicate with them properly. This skill can be learned. Look closely at the way you manage stress, not only your own but others. The way that you key in on moods and issues and adjust your behavior accordingly is really all we are talking about. You don’t want to seem bubbly or obnoxious to an interviewer that is obviously annoyed by such personalities. You may need to tune into the mood and adjust somewhat. We always want to be who we are of course, but taking the time to feel out the atmosphere around you and behave accordingly can be an important key in unlocking new opportunities. Within 24 hours of completion of an interview make sure to email out a Thank You note. Yes, email is perfectly acceptable in this day and age, but forgetting to do so is not. We are all so busy, every one of us in one way or another and I dare say, we all appreciate kind gestures. Show your appreciation for the time that they took out of their day to meet with you. Even if this job wasn’t a perfect fit for you, leaving a positive impression may open the door to future opportunities as they become available. They may think of you the next time they have an opening. It also opens a dialogue they can use freely. Don’t ever let good old fashioned manners fall by the wayside. While some of these suggestions may seem to be familiar, they are a step above the norm. That extra step could make all the difference in your journey to the ideal career. Searching for a job can be grueling and stagnant, especially if you prescribe to every piece of advice you hear. Like most rumors you read on the internet, not every piece of information is right for each situation. This article will explore some of the guidance you might receive from others with additional information explaining why it should be taken with a grain of salt. You Don’t Need a Cover Letter. There are people who will tell you cover letters are obsolete. This person could be a hiring manager, your parent, or even your best friend however, this is false information. When you apply for a position, especially if it is through an online format, a cover letter is required material. Cover letters give you the opportunity to expand upon points made in your resume. It is best to keep your cover letter to a maximum of one page and attempt to obtain the hiring manager’s information to address it directly to them. This will show that you took the time to write it for them and express your enthusiasm for the position or company. A cover letter alone won’t land an interview for you, but it will help make a case for your candidacy for the position applied. Lose the bad job search advice! Everything Happens Online (or In-person) – Taking Job Applications to Either Extreme. With the turnover in technology, online applications are the largest net for your job search. However, networking doesn’t always happen online, or face-to-face. Using too much effort on either realm of your job search limits opportunities that the other might provide. Online research can open the door for you, but to create a memorable connection you should attempt to identify individuals to meet in person. 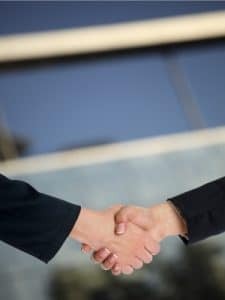 Taking the time to meet someone from the company, through an informational interview situation or otherwise, could result in a referral for the position. Referrals show that you went above the company’s expectations. However, a referral does not guarantee an interview or job offer. Personal Interaction Is the Only Way in. While following up with your application is encouraged by most companies, being overzealous might hurt your chances instead of helping you. There is such a thing as too much interaction with the hiring manager so, be sure you are respecting normal personal space bubbles. Don’t become akin to the ex-girl/boyfriend who can’t take ‘no’ for an answer. Continuous calling or emailing could be construed as aggressive or desperate. Neither attribute will make you more attractive as a candidate for the position. 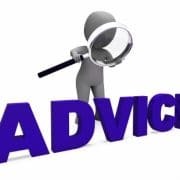 Your best course of action, after applying and if possible, would be to contact the employer, hiring manager, or recruiter once to follow up on your application and show your interest in the position/company. Persevere – You’ll Only Get a Job if You Keep at it. Apply, apply, apply. Apply to everything, despite the required qualifications. The more jobs you have applied to, the greater the chance that you’ll land one, right? Not necessarily. You should apply to positions you are qualified for, not just anything. Tailor your resume to best display how your skills and experience make you the ideal candidate for the job(s) for which you would be an excellent fit. Strategic applications increase your odds at a much greater interval than applying to anything and everything. By applying to everything, you are wasting time and energy you that should be put toward finding the right position for you. Just Be Yourself – or the Complete Opposite. Not all job search advice will harm your chances, but there is a balance to everything. Extra effort is attractive, however you must always consider what the hiring manager would think is appropriate. 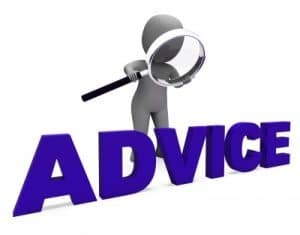 The advice you end up following should be your own. What has or hasn’t worked for you in the past? Expand on your own experiences and, with practice, your instincts will guide you. If that isn’t enough to help you gain your dream job, the FiveStrengths experts can provide additional support. What is your goal? Have you ever interviewed at a job that you didn’t really want? Maybe you were even relieved when you didn’t get it? Don’t waste your time or anyone else’s! As much as possible determine the direction you are heading and make a plan to get you there. Others can sense hesitation whether you realize it or not, it can cause problems from the start. Potential employers want to know that you REALLY want the position. Design the details of your resume and cover letter to truly illustrate what your goals and desires are. If you are not sure about your intent, it is time to do some soul-searching and find out. There are so many tools available to us to utilize in the job market these days. However, we need to use these tools with caution as they can also be detrimental to our image. Social media can be a great way to connect with others in your field, but a small mistake can reach a global market and have an impact on your future. Statistics show that most job recruiters use social media in their overall evaluating of potential candidates for employment. Don’t ever assume that your profile will not be checked out; it is highly likely that it will be. Social media behaviors to be sure to avoid include oversharing, scandalous photos, partying and alcohol use, none of which will leave a positive impression. Also, be sure to take into account the damage that posting negative opinions about work or work related issues may pose. Do not publically complain or air dirty laundry, nothing productive can come of this. You want to have a clean social media presence. It may be a good idea to search your name and see what comes up, be prepared for any questions that may arise. If you are worried about your history, be sure to set all of your social media profiles to private. What mistakes are you making in your job search? From the first contact with a potential employer, whether it is in person, an emailed resume and cover letter, or a drop in, do not undersell yourself or focus on what may be lacking. Sometimes we become too hard on ourselves and lose our confidence when a job search takes an extended amount of time. We begin to feel like someone would be doing us a “favor” by hiring us. This is not the case and behaving as such could be detrimental to your prospects. Remember that your cover letter should highlight what you can do, not the other way around. Don’t use phrases like, “even though I”… or “in spite of…” Don’t be pessimistic, believe that good things can happen for you, and keep trying. Often job titles can paint a picture that is not entirely accurate. Most positions require us to wear many hats; we should get credit for each of them. We need to present all of the relevant information. If your present or past job title undersells the actual work that you preformed in that position, than you need to add detail and make this clear to all those that read your resume and cover letter. One of the most effective ways to miss an opportunity before you even truly get started is to put out a resume or cover letter that contains spelling or grammatical errors. Competition for positions can be fierce and most recruiters won’t waste a second on an applicant with such simple mistakes. You may think that these small issues will be overlooked, but don’t forget that they often demonstrate larger issues, such as laziness, missing attention to detail and so on. These are not characteristics that you want to be assumed to possess. As you are in the process of job hunting, you will inevitably land some interviews. When you do there are a couple of rules that are not bendable. Do not ever, I mean ever, be late to an interview or even a casual meeting when you are expected at a pre-arranged time. There is no wiggle room on this and even though we might think, we are all human or it happens… it doesn’t happen to you! Not when making a first impression. Be prepared, plan extra time, practice driving to the location before the interview or meeting so that you are sure to have no problems. There are so many traits that we want to highlight about our self, let’s stick to the positive ones. Being late shows not only a lack of respect, but a lack of dependability. This will not get you the position. Another topic that goes hand in hand with this one is, turn off your phone! No, it will not make you look important to receive calls during a meeting or interview. No, they do not want to hear about what is going on in your personal life right now. They want to see that in that moment, you value THEIR time above your own. They are what matters and pointless interruptions will leave a negative impression. It comes down to basic common courtesy that is all too often overlooked these days. 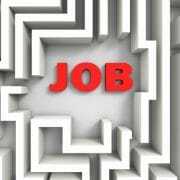 Determining what is going on with your job search can be difficult. You are most likely your own worst critic and it may be hard to get to the bottom of issues you are having. If you find that your search is not taking you in the direction you ultimately want to go, re-evaluate. Take a step back and re-route your course, do some self-diagnosis. If you are unable to come to any clear conclusion, it may serve you well to meet with a career coach to get an outside perspective. When talking about our future we must be willing to take uncomfortable steps at times, but the clarity is worth it. A job search it a journey. By working hard and staying focused you are sure to be successful. Yes! I want executive job search tips! Want to take your career to the next level? Contact Five Strengths to get started today.